Sometimes, when we find an interesting movie on the Internet, we’d like to download it to share with our friends and families. But after you start to share this .avi format video on the social media, it is too large and will take too long. What will you do? One of the simplest ways is to cut off the useless parts of the AVI video and join the most important part together to form a new one. So, a lossless AVI joiner- Joyoshare Media Cutter - is here to help you out. 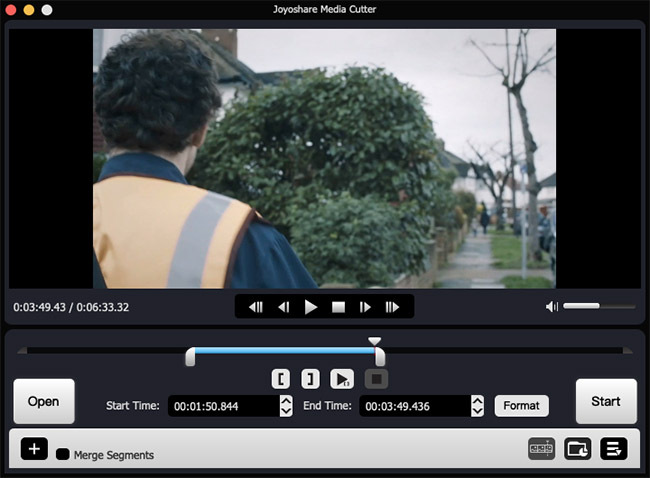 To combine AVI video clips without any quality damage, Joyoshare Media Cutter for Windows (or Joyoshare Media Cutter for Mac) is the right choice. It is not only a video/audio cutter, but also an AVI joiner to merge multiple video clips in a couple of clicks. Besides AVI video formats, it also supports numerous other formats such as MP4, WMV, M4V, MPG, MPEG, 3GP, 3G2, ASF, RM, MOV, FLV, MKV, RMVB, DAT and many more. Additionally, you can also export your new video in any common portable devices such as Apple iPhone, iPad, iPod, Samsung Galaxy, Xbox, PS4, Sony TV, etc. Moreover, this awesome AVI merger offers a series of advanced video editing tools to enhance your video if necessary. For instance, you can trim the AVI video and remove the unwanted parts of it; adjust the video file’s contrast, brightness, saturation and hue, add watermarks to video, apply special sound and video effects and so forth. Combining AVI video clips with Joyoshare could not be easier. In the following, we will show you how to merge AVI file fast and losslessly in just a couple of click. Here we take Joyoshare Mac version as an example. 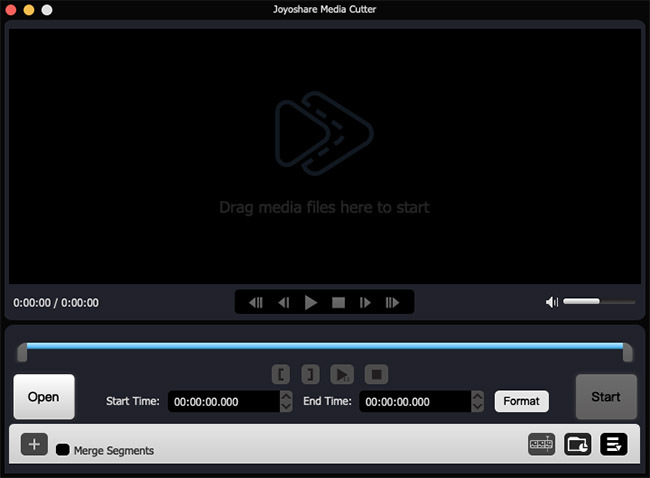 At first, you need to download and install Joyoshare Media Cutter for Mac on your computer. After running the program, click the "Open" button to import your AVI movie or just drag and drop the file to Joyoshare. Move the handles to trim the unimportant parts of the AVI video and keep the part you desire to share. Alternatively, you can manually set the start time and end time till you get the satisfied parts. Click the "+" button to add more video clips and perform the same operation. Tick the "Merge Segments" box to combine the AVI clips together. Then click the "Format" button and a new window pops up. There are two modes for you to choose. 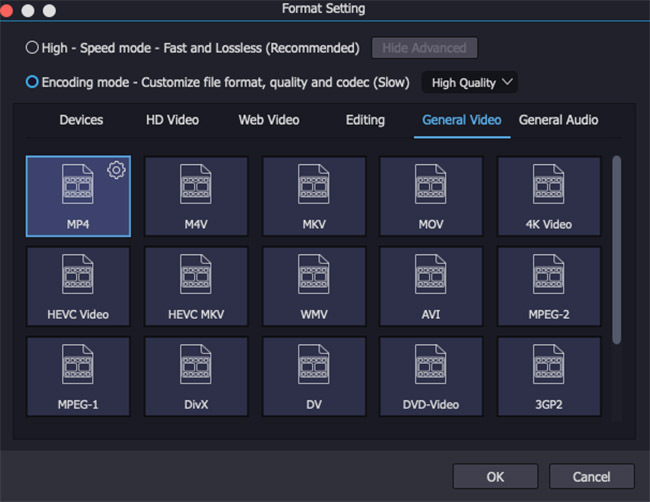 The "High-quality mode" allows you to cut and join AVI file fast and losslessly while the "Encoding mode" lets you customize the quality, devices and codecs, etc. Here if you want your AVI clips been joined with no quality loss, we recommend you to choose the former mode. Now press the "Start" button and begin to cut and merge AVI file together. After a few seconds, your new AVI video will be combined and you can find it on the destination folder. Note: Joyoshare Media Cutter allows you to trim and merge the AVI video clips from the same source losslessly and fast, it cannot join two or more .avi files from different source together.